IASWG is proud to recognize our current members who have published books. All members are encouraged to submit citations of their book publications by email for acknowledgement on this page. The following are some initial publications for your reference. Battle, K. & Battle, K. (2015). Grief, why me? why not me? : a journey of self-discovery. Brentwood Publishing Group: Columbus, GA.
Clayborn, K. & Traylor, J. (2011): Real girls: reflections. Clayborn, K. & Traylor, J. (2010): Real girls: shifting perceptions on identity, relationships, and the media. Ciardiello, S. (2012). ACTivities for group work with adolescents. Warminster, P.A. : Mar*co Products. Ciardiello, S. (2003). ACTivities for group work with school age children. PA: Marco products. Ciardiello, S. (2003). Meet them in the lab: Using hip hop music therapy groups with adolescents in residential settings. In N. E. Sullivan et al. (Eds.). Social work with groups: Social justice through personal, community, and societal change. NY: Haworth Press. Cohen, C.S., Gimein, T., Kollar, S., & Bulin, T., Editors (2010). Real Cases: Integrating Child Welfare Practice Across the Social Work Curriculum. 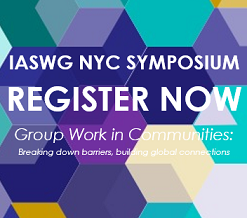 NY: New York City Social Work Education Consortium. (Also, Co-author of Introduction and Author of Generalist Social Work Practice and Evaluation Chapters). Cohen, C.S., Phillips, M., Hanson, M., Editors. (2009). Strength and diversity in social work with groups: Think group. NY: Routledge. Wayne, J. & Cohen, C.S. (2001). Group work education in the field. Alexandria, VA: Council on Social Work Education. Doel, M. and Sawdon, C. (1999) The Essential Groupworker: teaching and learning creative groupwork, London: Jessica Kingsley, 288pp [ISBN: 1-85742-432-8]. Feigelman, W., Jordan, J., McIntosh, J., & Feigelman, B. (2012). Devastating losses: How parents cope with the death of a child to suicide or drugs. NY: Springer Publishing Company. Fleming, J. and Ward, D. (eds.) (in press) Social Action and Groupwork, London: Whiting and Birch. Fleming J with Beresford P, Bewley C, Croft S, Branfield F, Postle K and Turner M (2014) ‘Working together – innovative collaboration in social care research’ Qualitative Social Work 13(5), 706-722. ​Gardella, L. G. (2017). Social work and hospitality: An oral history of Edith Stolzenberg. Journal of Religion and Spirituality in Social Work: Social Thought. DOI: 10.1080/15426432.2017.1350124. Gardella, L. G. (2011). The life and thought of Louis Lowy: Social work through the Holocaust. Syracuse, NY: Syracuse University Press. Garvin, C. D., Gutiérrez, L. M., & Galinsky, M. J. (2004). Handbook of social work with groups. New York: Guilford Press. Garvin, C. D., Smith, A. D., & Reid, W. J. (1978). The work incentive experience. Montclair, N.J: Allanheld, Osmun. Garvin, C. D. (1981). Contemporary group work. Englewood Cliffs, N.J: Prentice-Hall. Garvin, C. D., & Seabury, B. A. (1997). Interpersonal practice in social work: Promoting competence and social justice. Boston: Allyn and Bacon. Garvin, C. D., & Tropman, J. E. (1998). Social work in contemporary society. Boston: Allyn and Bacon. The Processes and Skills of Field Instruction: Empowering Student Learning. (and N. Gitterman). New York: Columbia University Press, (in progress). The Encyclopedia of Social Work with Groups. (and R. Salmon, Eds.). New York: Routledge, 2009. The Life Model of Social Work Practice: Advances in Knowledge and Practice, Third Edition, (and C. B. Germain). New York: Columbia University Press, 2008. Mutual Aid Groups, Vulnerable and Resilient Populations, and the Life Cycle. (and L. Shulman, Eds.). New York: Columbia University Press, (2005). Handbook of Social Work Practice with Vulnerable and Resilient Populations. (Ed.). New York: Columbia University Press, 2001. The Life Model of Social Work Practice: Advances in Knowledge and Practice, Second Edition, (and C. B. Germain). New York: Columbia University Press, 1996. Mutual Aid Groups, Vulnerable Populations, and the Life Cycle. (and L. Shulman, Eds.). New York: Columbia University Press, 1994. Handbook of Social Work Practice with Vulnerable Populations. (Ed.). New York: Columbia University Press, 1991. Mutual Aid Groups and the Life Cycle. (and L. Shulman, Eds.). Itasca, Illinois: F.E. Peacock Publishers, 1986. The Legacy of William Schwartz: Group Practice as Shared Interaction. (and L. Shulman, Eds.). New York: The Haworth Press, 1986. (Journal Collection). The Life Model of Social Work Practice. (and C. B. Germain). New York: Columbia University Press, 1980. The Life Model of Social Work Practice: Instructor's Manual. (and C. B. Germain). New York: Columbia University Press, 1980. Macgowan, M. J., & Wong, S. (2017). Improving student confidence in using group work standards: A controlled replication. Research on Social Work Practice, 27(4), 434-440. doi: 10.1177/1049731515587557. Macgowan, M. J. (2017). Intervention Research. In C. D. Garvin, L. M. Gutiérrez, & M. J. Galinsky (Eds. ), Handbook of Social Work with Groups (2nd ed., pp. 565-583): Guilford Press. Garvin, C. D., Tolman, R. M., & Macgowan, M. J. (2016). Group Work Research. New York: Oxford University Press. Macgowan, M. J. (2015). An inventory of standards for the practice for the practice of social work with groups: An empirical test in Scotland. Groupwork, 24, 6-25. doi: 10.1921/13701240302. Macgowan, M. J., & Hanbidge, A. S. (2015). Best practices in social work with groups. In K. Corcoran & A. Roberts (Eds. ), Social Workers' Desk Reference (3rd ed., pp. 734-746). New York: Oxford. Macgowan, M. J., & Hanbidge, A. S. (2014). Advancing evidence-based group work in community settings: Methods, opportunities, and challenges. In J. L. DeLucia-Waack, C. R. Kalodner & M. Riva (Eds. ), The Handbook of Group Counseling and Psychotherapy (2nd ed., pp. 303-317). Thousand Oaks, CA: Sage. Macgowan, M. J. (2014). Research! What we can do to advance it in social work with groups. In S. G. Dufault, V. Roy & G. Berteau (Eds. ), Strengthening social solidarity through group work: Research and creative practice (pp. 211-225). London, England: Whiting & Birch. Cohen, C. S., Macgowan, M. J., Garvin, C., & Muskat, B. (Eds.).(2013). IASWG Standards for Social Work with Groups: Research, teaching and practice (special double issue of Social Work with Groups). New York: Taylor & Francis. Macgowan, M. J. (2013). Development and application of a standards-based inventory of foundation competencies in social work with groups. Social Work with Groups, 36(2/3), 160-173. doi: 10.1080/01609513.2012.753836. Macgowan, M. J., & Vakharia, S. P. (2012). Teaching standards-based group work competencies to social work students: An empirical examination. Research on Social Work Practice, 22(4), 380-388. doi: 10.1177/1049731512442249. Macgowan, M. J. (2011). Group work research, best practices, and evidence-based group work. In E. Mullen (Ed. ), Oxford Annotated Bibliographies: Social Work. New York: Oxford University Press (2800 words). Pollio, D. E. & Macgowan, M. J. (Eds.).(2011). Evidence-based group work in community settings. New York. Taylor & Francis. Macgowan, M. J. (2010). Group work overview. In E. Mullen (Ed. ), Oxford Annotated Bibliographies: Social Work. New York: Oxford University Press (8900 words). Macgowan, M. J. (2010). Group work across population, challenges, and settings. In E. Mullen (Ed. ), Oxford Annotated Bibliographies: Social Work. New York: Oxford University Press (7600 words). Macgowan, M. J. (2010). Finding and integrating the best available evidence into the group work field practicum: Examples and experiences from M.S.W. students. Social Work with Groups, 33, 210-228. Macgowan, M. J. (2009). Measurement. In A. Gitterman & R. Salmon (Eds. ), Encyclopedia of Social Work with Groups (pp. 142-146). New York: Routledge. Macgowan, M. J. (2009). Evidence-based group work. In A. Gitterman & R. Salmon (Eds. ), Encyclopedia of Social Work with Groups (pp. 131-136). New York: Routledge. Macgowan, M. J. (2008). Group dynamics. In T. Mizrahi & L. E. Davis (Eds. ), Encyclopedia of Social Work (20th ed., pp. 279-287). New York: Oxford University Press/NASW Press. Macgowan, M. J. (2008). A guide to evidence-based group work. New York: Oxford University Press. The 3rd Edition of Group Work with Adolescents: Principles and Practice (Guilford Press) will be in print in late June 2014. Pre-order at a 20% discount here. Group Work with Adolescents: Principles and Practice (2nd Edition), 2007, New York: The Guilford Press. Groan Up: From Newark to Nebraska, a true story, sort of (a book of poetry) 2007, Philadelphia, PA.: Xlibris. Making joyful noise: The art, science, and soul of group work. 2006 (with D. Moyse Steinberg and R. Salmon, eds. ), Binghamton, NY: The Haworth Press. A quarter century of classics (1978-2004): Capturing the theory, practice and spirit of social work with groups, Binghamton, 2005 (with R. Kurland, eds. ), New York: The Haworth Press. Stories celebrating group work ‘It’s not always easy to sit on your mouth,’ 2002 (with R. Kurland, eds. ), Binghamton, NY: The Haworth Press. Special 9/11 memorial edition of Reflections: Narratives of professional helpers, 2002 (with A. Gitterman, eds.) University of California at Long Beach. A guide for the development of school-based mental health partnerships, 2003 (with Mehri Fryzel, eds. ), Garden City, NY: Nassau BOCES Department of Communications and Agency Planning. Night Crawlers: After Hours in the ER (a book of poetry)1998: Greenville, NC: DeeMar Communications. Group work with adolescents: Principles and practice (1st edition), 1997, New York: The Guilford Press. Steinberg, D.M. (Ed.). (2012) Orchestrating the power of groups: Beginnings, middles, and endings (overture, movements, and finales). London, UK: Whiting & Birch. Steinberg, Dominique Moyse (2008). Le travail de groupe: Un modèle axé sur l’aide mutuelle. (French Translation, Jocelyn Lindsay, et al.). Québec, CAN: Les Presses de l’Université Laval. Steinberg, D. M. (2007). Instructor’s manual, A mutual-aid approach to working with groups: Helping people help one another (2nd ed.). NY: Routledge. Malekoff, A., Salmon, R., Steinberg, D.M. (Eds.). (2006). Making joyful noise: The art, science, and soul of group work. Binghamton, NY: The Haworth Press. Steinberg, D. M. (2004). The social work student’s research handbook. Binghamton, NY: The Haworth Press. Steinberg, D. M. (2004). A mutual-aid approach to working with groups: Helping people help one another (2nd ed.). Binghamton, NY: The Haworth Press. Steinberg, Dominique Moyse (2003). L’Auto/mutuo aiuto: Guida per I facilitatori di gruppo. (Italian Translation, Studi Erickson Edizioni). Garda, IT: Studi Erickson Edizioni. Steinberg, D. M. (1997). A mutual-aid approach to working with groups: Helping people help each other. Northvale, NJ: Jason Aronson, Inc.
Steinberg, D. M. (1992). The impact of education on social work practitioners’ work with groups. NY: City University of New York. The Skills of Helping: Individuals, Families, Groups and Communities. California: Brooks/Cole, (2009). Mutual Aid Groups, Vulnerable and Resilient Populations, and the Life Cycle. (and A. Gitterman, Eds.). New York: Columbia University Press, (2005). Interactional Supervision. Washington, D.C.: NASW Press, (1993). Teaching the Helping Skills: A Field Instructor’s Guide, 2nd Edition. Alexandria, Virginia: The Council on Social Work Education, (1993). Instructor’s Guide for Interactional Social Work Practice. Itasca, Illinois: F.E. Peacock, (1992). Handbook of Basic Skills and Strategies for School Principles. (co-author L. Giandomenico). Springfield, IL: Charles Stuart Publishers, (1992). Mutual Aid Groups and the Life Cycle. (and L. Shulman, Eds.). Itasca, Illinois: F.E. Peacock Publishers, (1986). The Legacy of William Schwartz: Group Practice as Shared Interaction. (and A. Gitterman, Eds.). New York: The Haworth Press, (1986). The Skills of Supervision and Staff Management. Itasca, Illinois: F.E. Peacock, (1992). Identifying Measuring and Teaching the Helping Skills. New York. Council on Social Work Education and the Canadian Association of Schools of Social Work, (1981). The Skills of Helping Individuals and Groups. Itasca, Illinois: F.E. Peacock, (1979). A Casebook of Social Work with Groups. New York: Council on Social Work Education, (1969).